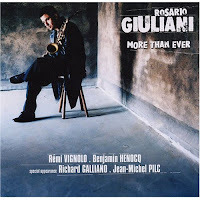 Indeed, if you like your alto playing searing, sensual and sonorous, welcome to the world of Rosario Giuliani. His is an alto tone that is big, biting and burning – all at the same time; it is a sound that totally envelopes the listener. 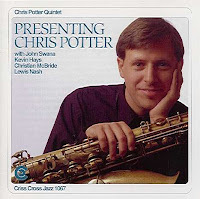 In addition to Adderley and Dolphy [and perhaps even some ‘early years’ Art Pepper], Giuliani also incorporates a style that is reminiscent of Chris Potter before he moved on to “the big horn,” especially the Potter of Presenting Chris Potter on Criss Cross [CD 1067]. 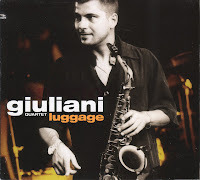 Other alto saxophone contemporaries such as Jesse Davis, Kenny Garrett, Jon Gordon, Vincent Herring, and Jim Snidero, and are also reflected in Giuliani’s style, and yet, despite these acknowledgements, he is very much his own man. Whether it’s running the changes on finger-poppin’ bop tunes, improvising on modal scales and odd time signatures or finding his way movingly and expressively through ballads, Giuliani enveloping sound is a force and a presence. 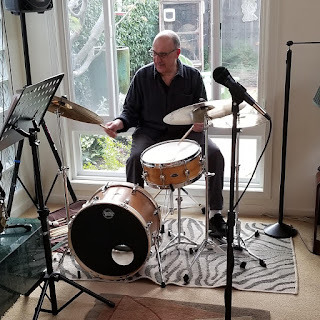 He has a technical command of the instrument that lets him go wherever he wants to on the horn including employing the dash difficult Paul Desmond device of improvising duets with himself. 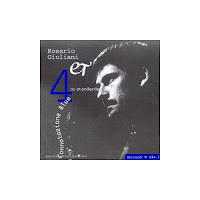 Giuliani’s recordings will also provide an opportunity to hear some wonderful rhythm section players frequenting today’s Italian Jazz scene such as pianists Dado Moroni, Pietro Lussu, and Franco D’Andrea; bassists Gianluca Renzi, Jospeh Lepore, Pietro Ciancaglini, Dario Deidda, and Rimi Vignolo; drummers, Lorenzo Tucci, Benjamin Henocq [Swiss/Italian], Massimo Manzi and Marcello Di Leonardo. All of these guys are virtuoso players who can really bring it. 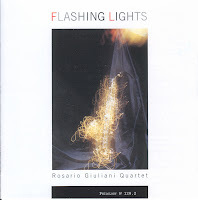 Rosario’s music is a reflection of a young player finding his way through the modern Jazz tradition with straight-ahead, bop-oriented tunes such as Wes Montgomery’s Road Song, re-workings of Ornette Coleman’s The Blessing and Invisible [which frankly I enjoyed more than the originals with the exception of the playing Messer’s Blackwell, Hayden, Higgins and La Faro – to his credit, Ornette used some very fine rhythm sections on his early albums], and, as is to be expected from today’s young, reed players, Coltranesque extended adventures such as the original Suite et Poursuite, I, II, III. 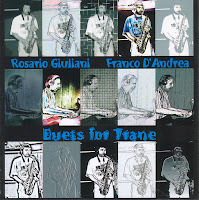 Interestingly his tribute to Coltrane album is done without the ever pulsating and bombastic Elvin Jones like drumming, but rather as a Duets for Trane in which he an pianist Franco D’Andrea perform on nine Coltrane originals such as Equinox, Central Park West and Like Sonny. There is very little “sheets of sound” to be found anywhere on this recording, but rather, an introspective and original examination of Coltrane’s music by someone whose playing would have made him smile. These two also combine on Live from Virginia Ranch, a quartet album on Philology [W114.2]. 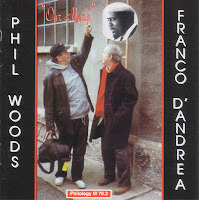 [It would seem that producer/owner Paolo Piangiarelli has a penchant for recording pianist D’Andrea in duos with alto players on his Philology label as he also issued Our Monk in 1994 [W.78.2] with Phil Woods on alto, after whom, Piangiarelli named his label!]. 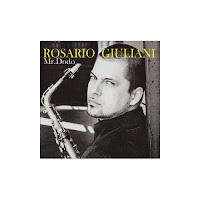 Rosario has a lovely way with ballads as can be heard in his sensitive and thoughtful interpretations of Tadd Dameron’s On a Misty Night, Bob Haggart’s What’s New and Michele Petrucciani’s lovely Home. Many other slow tunes are given a prominent place on his recordings which could be considered somewhat of a rarity as the tempo - "slow" - is often a stranger to youthful Jazz musicians. He even put out an early recording Connotazione Blue [Philology W144.2] that is devoted entirely to standards such as Skylark, What is This Thing Called Love and Invitation that are interspersed with an original, four-part blues odyssey entitled Blues Connotation. 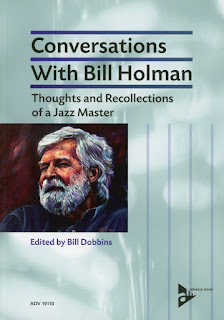 It is his way of showing his conversancy with these musical forms and to pay homage to these strains within the Jazz tradition. 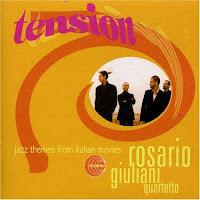 Giuliani is in demand by movie composers such as Morricone, Umilani, and Ortolani and even has a CD out entitled Tension that features his interpretation of Jazz themes from Italian movies. This recording along with 9 other CD’s under his own name to date represent a staggering body of high quality playing which can only get better now that he is under the tutelage of Francis Dreyfus, producer of Dreyfus Jazz. 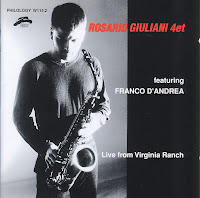 Rosario Giuliani is a player of distinction who makes Jazz, in all its modern manifestations, an exciting adventure. I recommend him to you without reservation as someone who will reward you many times over should you chose to include him and his associates in your musical vocabulary. With the 70 anniversary of Benny Goodman's famed Carnegie Hall Concert just a few days away, the editorial staff of JazzProfiles thought the following commemorative article might be of interest to its readers. "Sunday evening, January 16, 1938: Benny Goodman and his Swing Orchestra" read the placard 70 years ago in front of New York City's most prestigious classical-music venue. "The First Swing Concert in the History of Carnegie Hall." Headlining this sanctum sanctorum must have seemed the only thing that Goodman, the 28-year-old, Chicago-born clarinet player, big-band leader and "king of swing," might then do to top a phenomenal 2½-year ride to the peak of the popular-music world. New York seemed to agree. Carnegie Hall sold out at once: all 3,900 seats. At 8:45 p.m. that Sunday night, a nervous Goodman, in white tie and black tailcoat, launched the band into the evening's first number: "Don't Be That Way." The tempo was restrained, the orchestra tentative, the soloists polite. 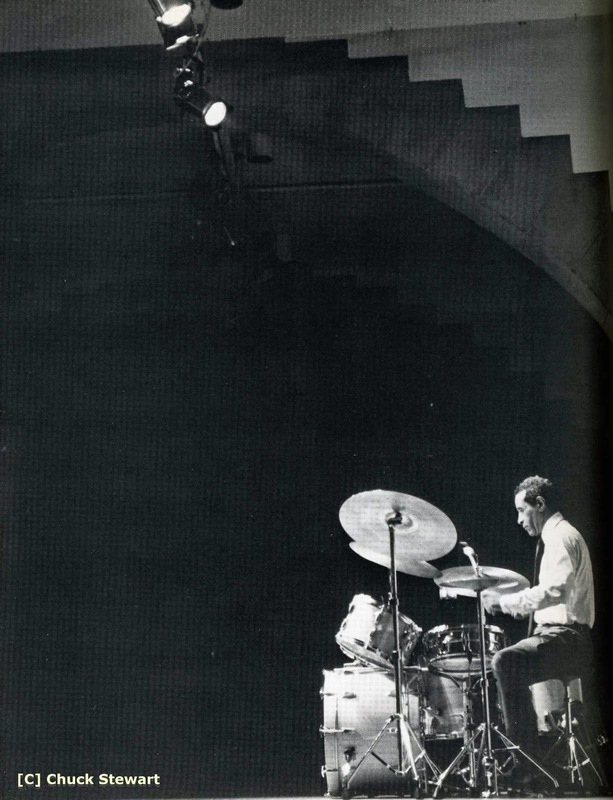 But 2½ minutes into the tune, drummer Gene Krupa jolted the ensemble to life with an explosive two-bar break. The event would need more such jolts. This "definitive program of swing music" came saddled with program elements that kept the concert out of step for its first half-hour. 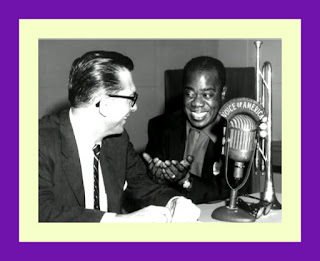 A "20 years of jazz" segment and a quarter-hour "jam session" with guest players from the Count Basie and Duke Ellington orchestras proved wearying. 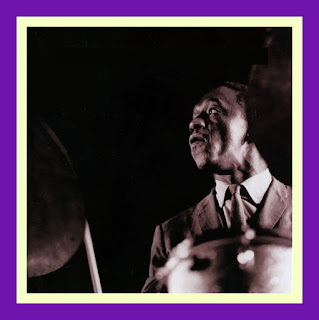 Not until Goodman's trio and quartet -- specialty combos featuring first the impeccably brilliant pianist Teddy Wilson and then the rhythmically enthusiastic vibraphonist Lionel Hampton -- took the stage did the concert gain traction. 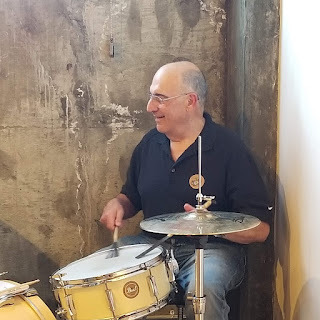 Goodman was at his best in small-group settings, where his melodic ease, great technique and strong sense of swing were on full display. The trio's "Body and Soul" and the quartet's "The Man I Love" and "Avalon" charmed the audience -- and the quartet's five-minute upper-tempo "I Got Rhythm" positively sizzled. After intermission, the orchestra too was in fine form, demonstrating, for the Carnegie Hall crowd, just what this swing-era fuss was all about. "Bei Mir Bist Du Schon" had the concert audience clapping in time (if unhiply on the wrong beat); and at the close of the band's euphoric performance of "Swingtime in the Rockies," the Carnegie crowd let out a roar worthy of Harlem's Savoy Ballroom. Then Goodman called again on his trio and quartet, for three more numbers. It was good pacing to go from combo to big-band and back, but it also seemed emblematic of a schism that ran through the jazz world of the late 1930s: the split between young swing-music idolizers, hooked on the big bands' riffs, and an earlier generation of traditionalists who felt "true jazz" was played only by small groups of collectively improvising players. 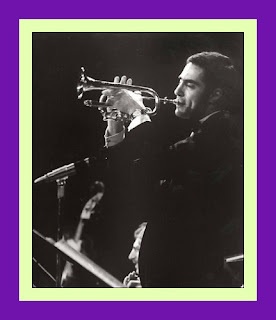 This concert's earlier "history of jazz" segment paid homage to the "classic" jazz of the '20s; its most effective moment, for many, was when Bobby Hackett, a 22-year-old cornet player from Rhode Island, re-created the late Iowa cornetist Bix Beiderbecke's melancholy 1927 version of "I'm Comin' Virginia." Beiderbecke had died an alcoholic's death in New York in 1931. A generation of jazzmen were haunted by his lyrical sound. Several of the men on stage, including Goodman, had played with Bix back in the day. Jess Stacy, the Goodman orchestra's outstanding pianist, had his style shaped through crucial exposure to Beiderbecke in 1923, in Davenport, Iowa, when Bix came aboard the riverboat an 18-year-old Stacy worked on. "He played the pian-a," Stacy told pianist Marian McPartland decades later on her NPR program "Piano Jazz," "and he played [the type of] harmony like [he had], you know, [in his own] 'In a Mist'?" Stacy was referring to Beiderbecke's Debussy-like composition for keyboard. Beiderbecke had steeped himself in the sounds of such modern-classicists as Ravel, Elgar and MacDowell. "He played 'Clarinet Marmalade,' with that type harmony. Back in my head, I'd known that that was possible. But I didn't know how to do it, you know? But when I heard him do it -- it just bowled me over." Bix, with his relaxed manner and modernist harmonies, seemed, for some, the ghost at the banquet of this swing-music concert, with his implied reproach: Mine was the path you might have taken. But toward the end of this longish evening, Benny Goodman found a way to merge these opposing visions of jazz via "Sing Sing Sing" -- the most raucous and elaborate of his big band's signature items, a "killer-diller" that had evolved into an epic. The number began with a vengeance, as Krupa beat a tattoo beneath the snarling brass and strutting reeds. Riff patterns unfolded smoothly, and then Goodman's clarinet emerged, full of subtle spirit and insinuation. "Sing Sing Sing" rolled on and on -- through a false ending and a surprise return, a raucous Harry James trumpet solo, and three rhythmic ad-lib choruses by Benny that conjured the intimacy of an after-hours session even as they worked their way up to a tentative high C.
And then, after 9½ minutes, Goodman, in true jam-session fashion, turned "Sing Sing Sing" over to Stacy, who'd never before been featured on this number: "Take it, Jess." The pianist began to unfurl a long, driving, ruminative meditation on "an old A-minor chord" -- a thoughtful exploration that would still sound fresh 70 years later. "I used to listen to records every night," Stacy told McPartland. "I listened to a lot of Ravel; I listened to Debussy and MacDowell. 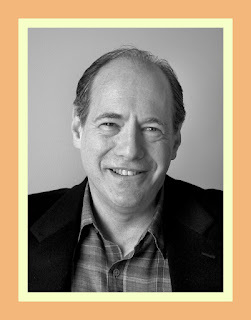 If you'll notice, in that chorus a little MacDowell crept in there." His extraordinary three-chorus, two-minute solo, which stretched from steamboat-stride to barely audible Impressionist ripples, induced what one witness called "a magical stillness." At last the band, booted by Krupa, returned for a thrilling half-chorus finale. Benny Goodman's one-night stand at Carnegie Hall faded into the mists of memory -- until 1950, when acetate recordings of the event were issued on an LP that became one of the best-selling jazz albums of all time. An eventual CD version, "Benny Goodman: Live at Carnegie Hall" (Columbia), introduced still younger listeners to the concert that began as a press agent's brainstorm and turned into legend. Most all who heard the recording (including Goodman) thought Stacy stole the show with his two-minute soliloquy -- a solo seeded with the subtle phrasings and harmonic shadings that the pianist first encountered so long before, when a 20-year-old cornet player in Davenport came aboard the riverboat to play the piano. Mr. Nolan is editor of "The Archer Files: The Complete Short Stories of Lew Archer, Private Detective," by Ross Macdonald (Crippen &Landru).